Floor 1 - Principals know what they need from central office. 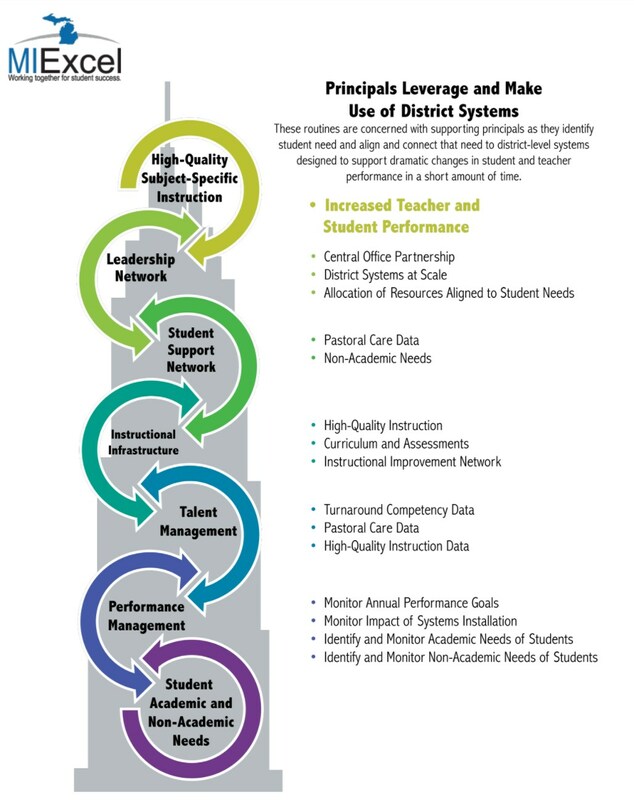 Floor 2 - Principals connect district systems to student needs. Floor 3 - Principals optimize use of district systems.